0.4 MB, 1080x1920px, 4.2 secs. 11.16 MB, 1080x1920px, 4.1 secs. 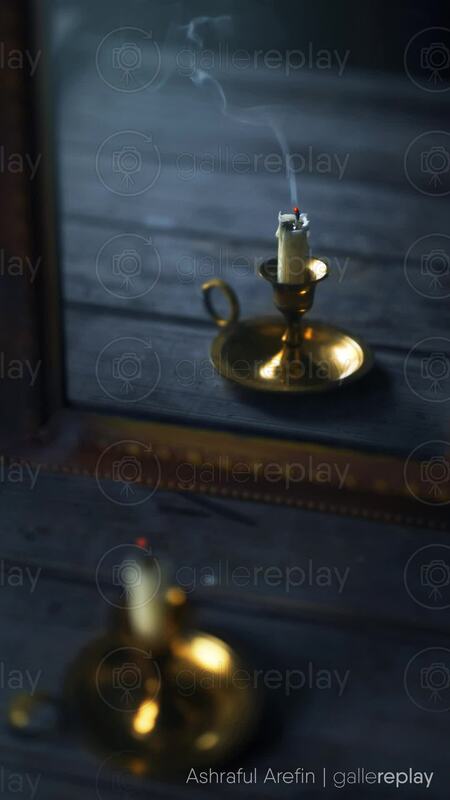 Reflection of a freshly extinguished candle standing on a dark wooden table. While the mirror image is clearly visible, the candle in the foreground is blurry.